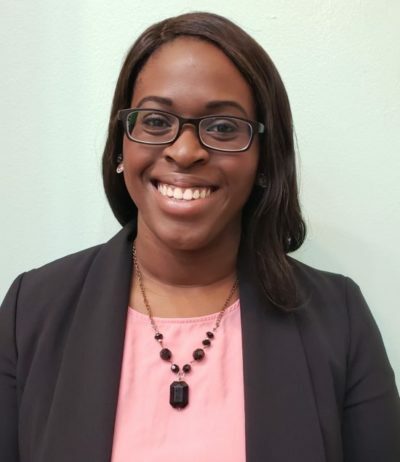 (Nov. 27, 2018) – USF St. Petersburg alumna Monica Edwards has been recognized by the Charles B. Rangel International Affairs Program as a 2019 Rangel Fellow. Edwards is the second Rangel Fellow in the University of South Florida history. Honoring distinguished Congressman Charles Rangel, this prestigious graduate fellowship aims to promote greater diversity and excellence in the Foreign Service of the U.S. Department of State. Fellows receive $37,500 annually for a two-year graduate degree in a field of their choice related to the Foreign Service, paid summer internships with a member of Congress in Washington, D.C. and at embassies abroad, professional development training and mentoring from senior Foreign Service Officers. Rangel Fellows who successfully complete their graduate program and Foreign Service entry requirements receive guaranteed appointments in the U.S. State Department Foreign Service. Fellows commit to working as Foreign Service Officers for at least five years. Edwards is a 2015 graduate in Politics with minors in Criminology and Legal Studies. At USFSP, she served as Lead Orientation Leader and Lead Resident Assistant and was an active mentor with Big Brothers Big Sisters of Pinellas County. Edwards spent a semester in Washington, D.C., as a legal intern at the Law Office of Cameron Robinson, a position she obtained through the highly competitive Washington Center for Internships and Academic Seminars. After graduation, she assisted the Community Law Program of Pinellas County with managing their office and marketing projects. Since 2016, she has worked as an English teacher at the Korea Poly School in Daejeon, South Korea. Working in South Korea inspired Edwards to become a Foreign Service Officer. As a Rangel Fellow, Edwards will pursue a Master’s in Public Administration, concentrating in International Management. She plans to work as a management officer in the Foreign Service, overseeing embassy operations and establishing positive cross-cultural relationships with locals and host country officials to best serve U.S. interests abroad. Hundreds of applicants representing institutions across the United States competed for the Rangel Fellowship this year. Sixty applicants were interviewed in Washington, D.C., and thirty fellows were selected. In preparation for the Rangel Fellowship competition, Edwards worked with Ms. Lauren Bartshe-Hanlen and Ms. Lauren Chambers at the USF Office of National Scholarships (ONS), and Monique Quesada, Diplomat-in-Residence (DIR) for South Florida.